Why is it that businesses become stuck in one spot instead of growing? While it’s easy to point out flaws, it's not as effective as focusing on ways to improve. Although running your own business is incredibly complex, your ideologies shouldn’t be. Dr. Shahrooz Yazdani opened Yazdani Family Dentistry back in 2001, providing service to both the Kemptville and Kanata areas. With two locations, they have experienced success in the industry by investing not only in their marketing team, but also in their clientele. Another key attribute to their success is their belief that having long-term goals helps you make decisions and forces businesses to keep moving forward. BHAG, or Big Hairy Audacious Goal, is a concept created in the book “Built to Last: Successful Habits of Visionary Companies” by James Collins and Jerry Porras. 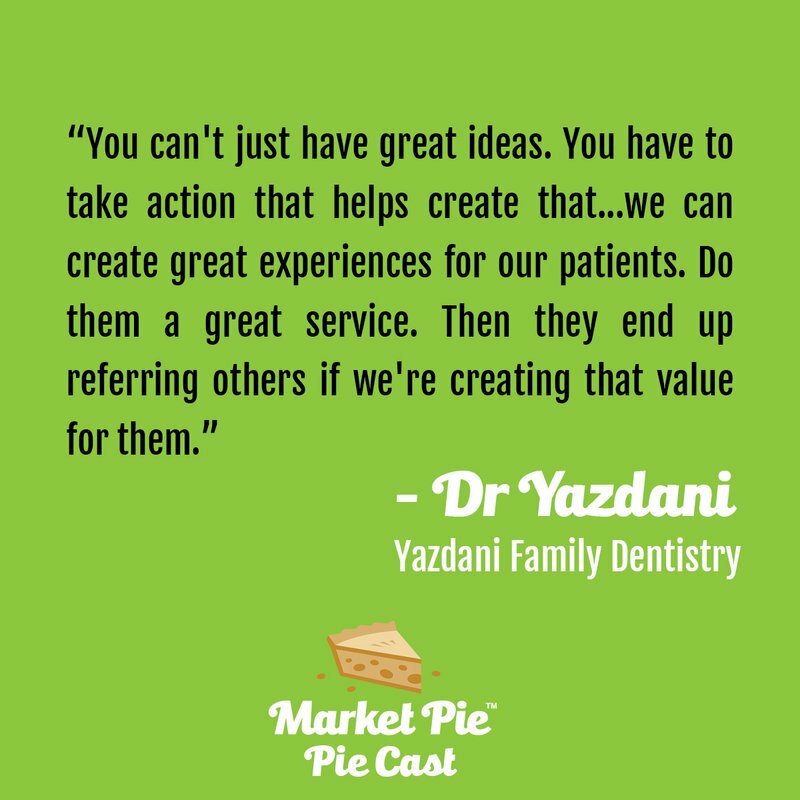 Yazdani’s primary BHAG is to have five dental practices in the region contributing a total of $500,000 of free dentistry every year to the community. Yazdani explained. 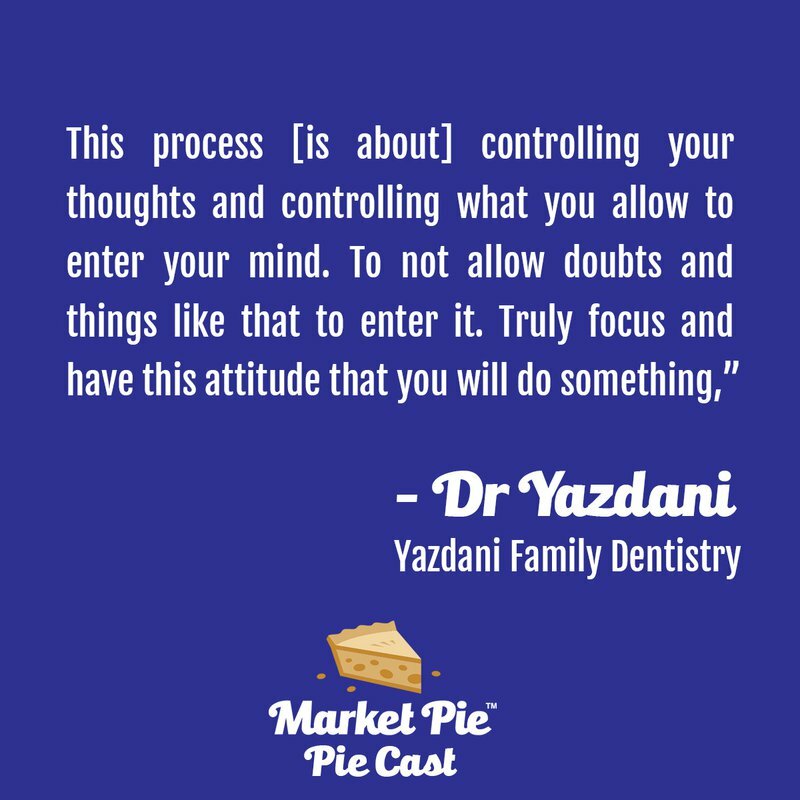 After becoming so successful in Kemptville, Yazdani dentistry wants to implement those winning philosophies towards growth. Throughout our discussion we got a good look at their gameplan. “Our core values are trust, integrity, excellence, customer service and kindness,” Dr. Yazdani said while discussing the internal code of the company. He also expressed the importance of giving more value than you take. The service they provide to clients is always more than the average or standard dental practice, but for the same fees. What are some the ways to give customers a better experience? Add quality content to their time at your business. Yazdani Dentistry provides refreshments free of charge and started doing patient appreciation events, such as free movie days. Adding more services in-house to create a streamlined, convenient experience also helps them stand apart. Creating value in a business doesn’t just apply to your services. It also comes down to the people working for and with you. 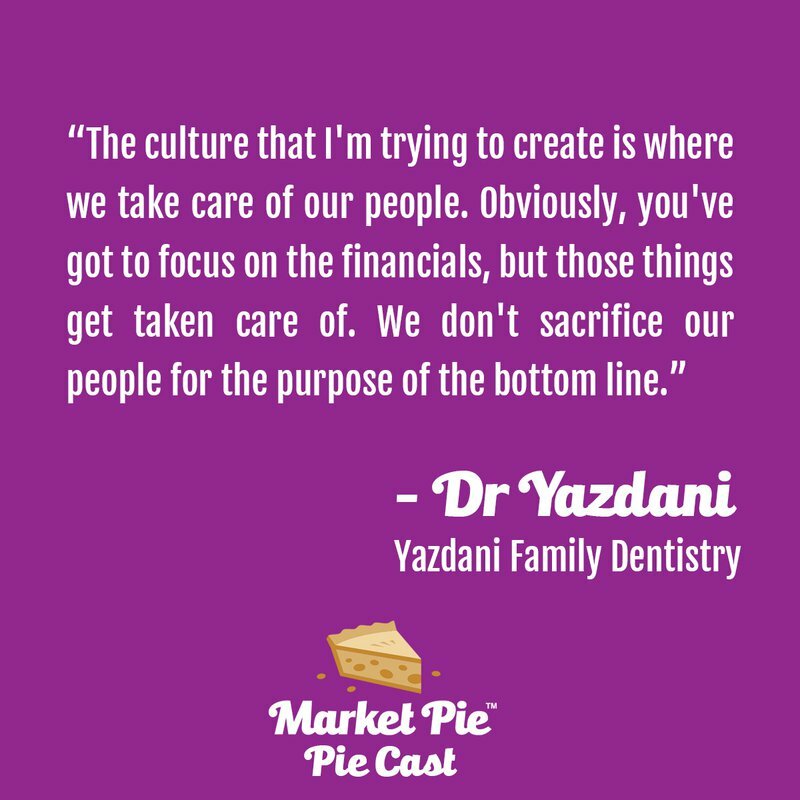 Yazdani focuses on hiring based on those same core principles. Cultivating a healthy work environment for your employees will directly affect the experience your clients have. Is there an effective way of doing that? Although Yazdani admits it sometimes doesn’t work out in some cases, they always ensure the company has done its best to fully express their expectations of an employee. They provide the training and communication their staff needs to succeed and recognize their responsibility in nurturing each employee. A great leader influences others to move forwards. There are many ways to lead, but the most effective is becoming a leader that inspires others to do their best. Those that become stuck in positional leadership positions are often trapped in a mindset that their only asset is their authority. Unfortunately, using that as motivation achieves only the bare minimum. There are three levels of leadership that can be used as a guide. The first level is giving people a reason to follow you. That reason can’t be based on fear and guilt, but on a mutually beneficial environment where everyone advances forwards. The next level is being liked, which boils down to caring. No one likes someone who doesn’t care about them. Develop connections with the people around you. They’ll be able to tell that they are seen as a person, not a pawn. The third level is production. Don’t expect others to do something you’re not willing to. Although achieving perfection isn’t necessary, it needs to be apparent that a leader can put in the same time and effort as everyone else. Become a relatable and dependable asset to your team. At the end of the day, you won’t get anywhere without two essential things; a destination and a map.